Showcasing the beautiful black-and-white art of the renowned Spanish artist Esteban Maroto in this science-fiction space opera first published in the 1980s. Diana Jacklighter has been assigned what should be an easy mission, transporting a group of criminals in suspended animation, but after her ship is struck by a meteor and crashes, the plague-stricken prisoners escape and Jacklighter must head out and capture them. Behold the tome of spine-chilling terror and mind-blowing fantasy to haunt your dreams at night… the fourteenth volume of Vampirella Archives! Explore the hidden vaults of the Warren Publishing library with horror hostess extraordinaire Vampirella, thrilling to some of her finest (and most fear-fraught) adventures from yesteryear, plus an intoxicating selection of the era’s best horror and science fiction stories. 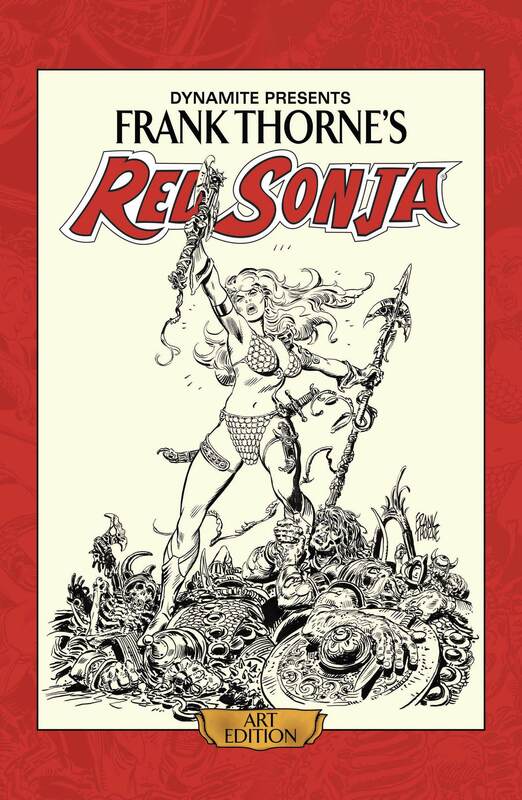 As you face Haitian Voodoo and star beasts, zombie hordes and the Blood Red Queen, you’ll witness the storytelling magic of such luminaries as Archie Goodwin, Bruce Jones, Auraleon, Jose Ortiz, Rich Margopoulos, and many more. This edition of Vampirella Archives collects Vampirella Magazine #97-103, and features a wealth of bonus materials from a bygone era, including the “Feary Tales” feature on urban legends, the monthly “Scarlet Letters” column, “Vampi’s Vault” of creator biographies and literary reviews, and more. Vampirella, horror hostess extraordinaire, welcomes you to the latest fear-fraught volume in the Vampirella Archives! Join the Daughter of Drakulon in over thirty terrifying tales from issues #65 through #71 of Vampirella Magazine, the acclaimed 1970s anthology. Many masters of the craft (including Jose Gonzalez, Bruce Jones, Gonzalo Mayo, Gerry Boudreau, and more) unleash vignettes like “The Mad King Drakulon,” “October Man,” and “Swamp Lovers,” each a vintage classic guaranteed to shiver the spine!